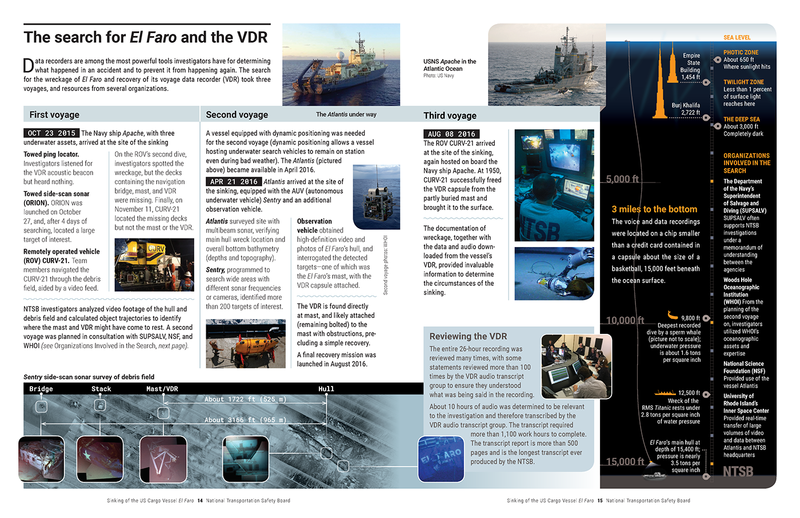 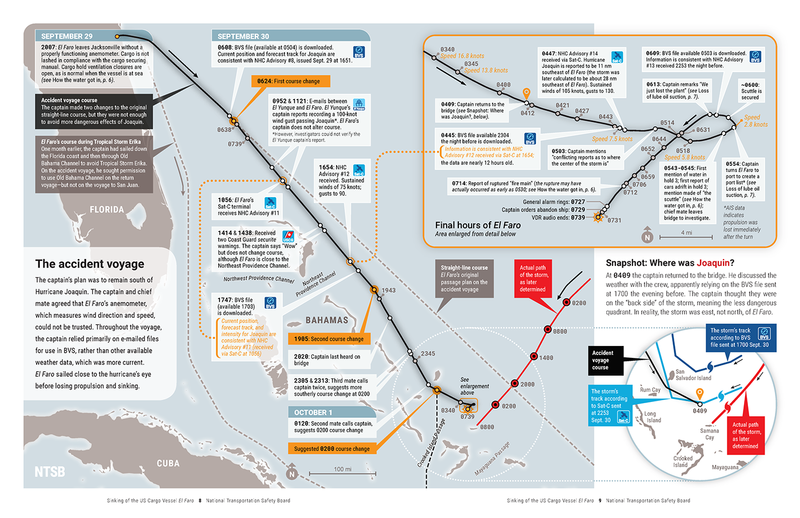 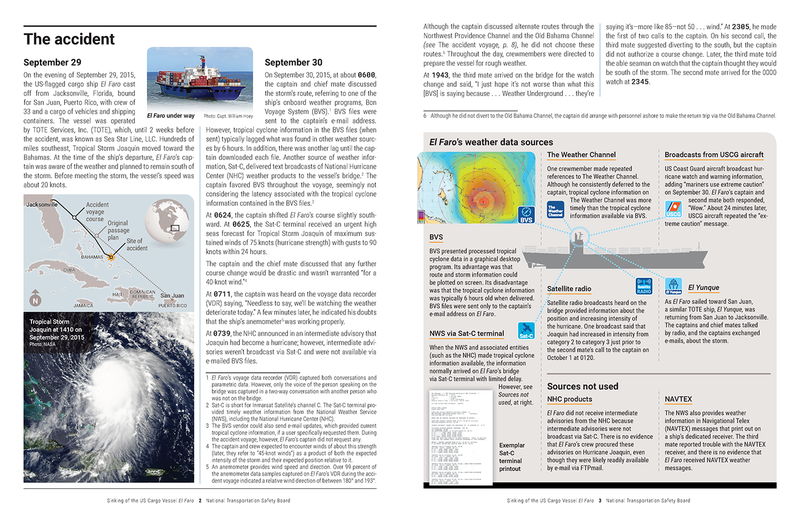 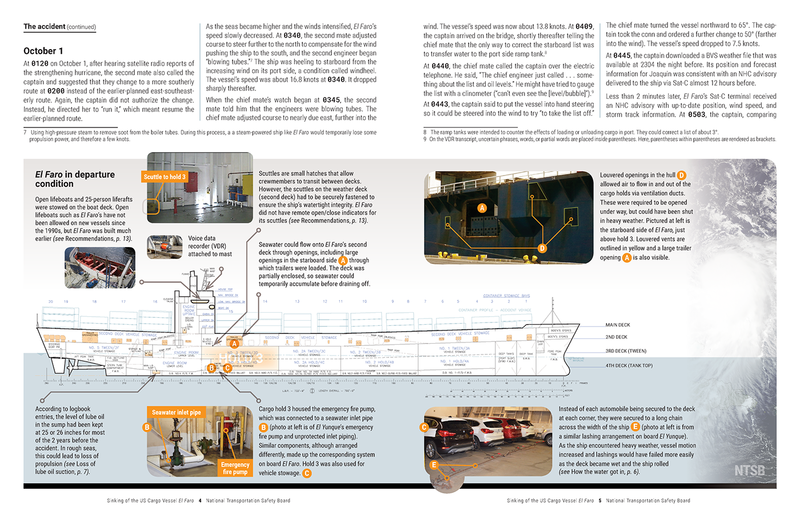 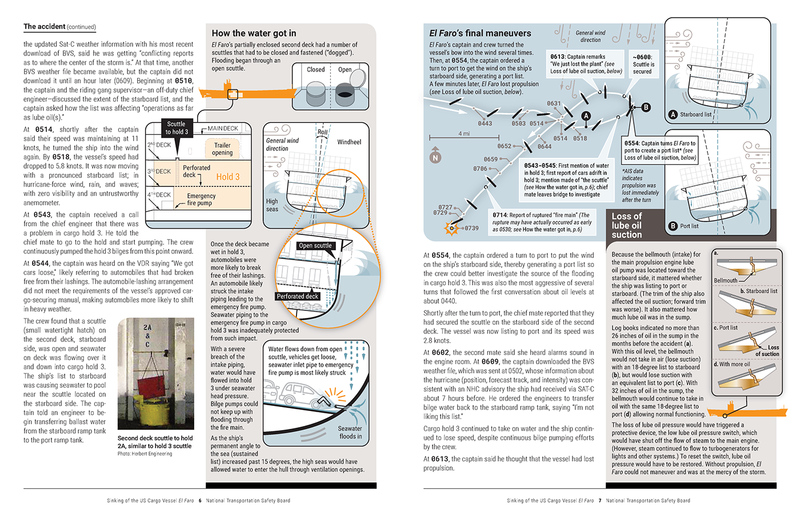 This 16-page illustrated digest summarizes the critical events and decisions that led to the Oct. 1, 2015, sinking of El Faro and the loss of all 33 crewmembers. 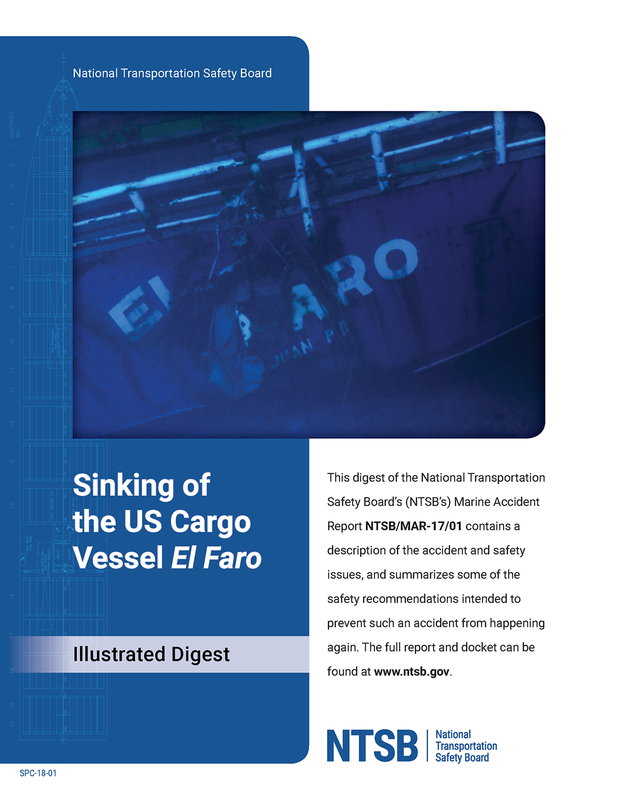 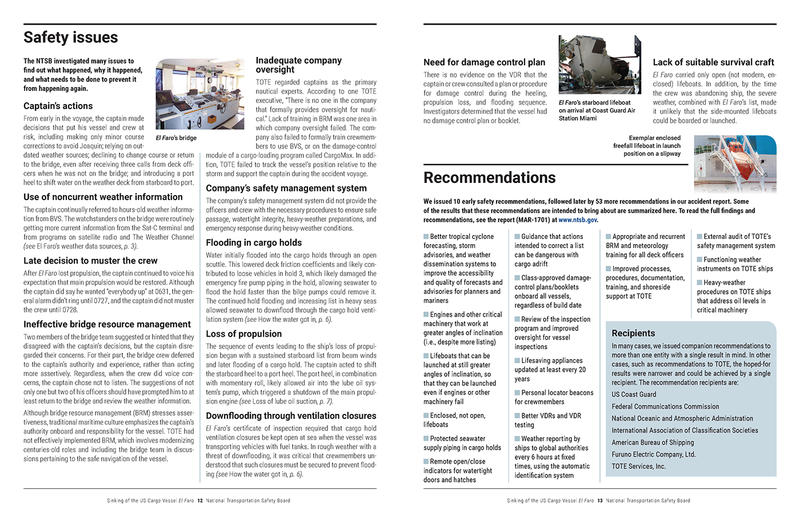 The digest also synopsizes the more than 60 recommendations issued throughout the NTSB’s investigation of the sinking. 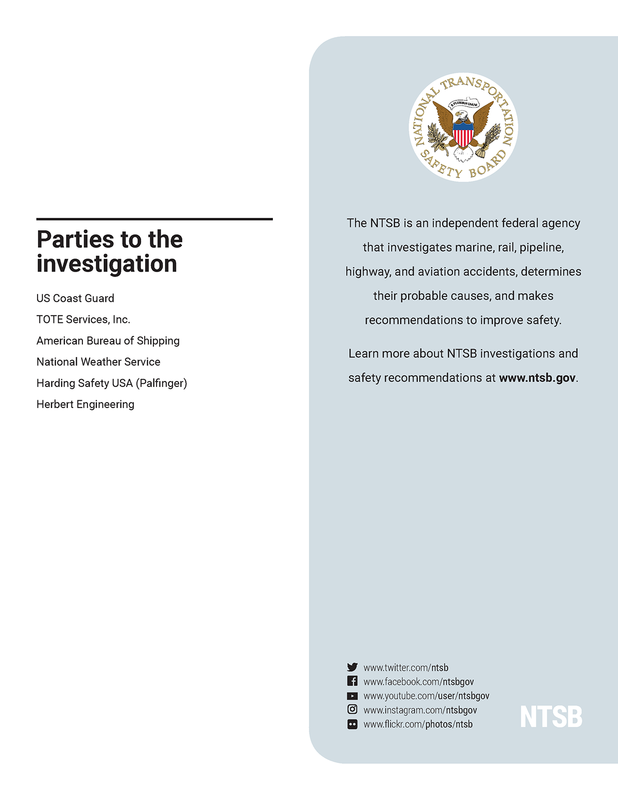 The infographics and summary make for an easy-to-read digest, compared with the thousands of pages that comprise the NTSB’s final report and associated investigative documents, while still imparting potentially lifesaving information to our stakeholders. 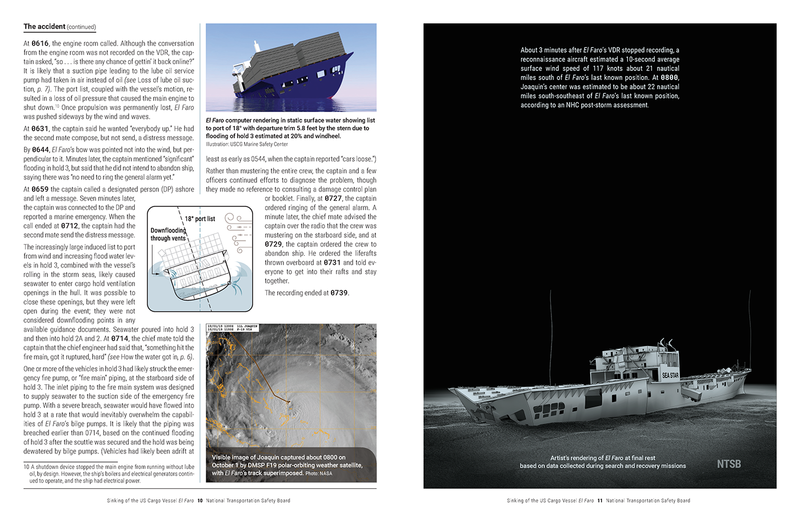 While the full accident report (available at https://ntsb.gov/investigations/AccidentReports/Reports/MAR1701.pdf) remains the agency’s definitive document on our investigation of the sinking, this digest provides an overview of this landmark marine accident, and a review of what government and industry can do to prevent such an accident from happening again.